Writing “deep” is very much a voyage of discovery. These interactive booklets don’t lecture– they invite you to voyage to the deep of YOUR story. Motivation is where character and plot meet. It fuels the character as conflict fuels the plot. Use these exercises and examples to find the motivations that will drive your characters through the story… and help them come out alive. Readers today want exciting, fast-paced, vivid stories. So what do you do if your story just limps along? These exercises can help you activate your story and revitalize your prose– without ever losing the voice and tone that make it your story. Terrific, meaningful dialogue can, by itself, sell a book. But what if you don’t have an ear for dialogue? What if all your characters pretty much sound alike? Here’s your chance to add verve and meaning to your conversation… and make it develop the characters and advance the plot. The best way to learn who your characters are is to ask them. These three in-depth free-writing exercises will prompt your characters to speak for themselves… and to tell you who they are, what they want, and what they need from your story. One interview looks for plot connections, another investigates their secret lives, and the third explores how they have been shaped by their pasts and families. Conflict is one of the most important and least understood elements of writing. 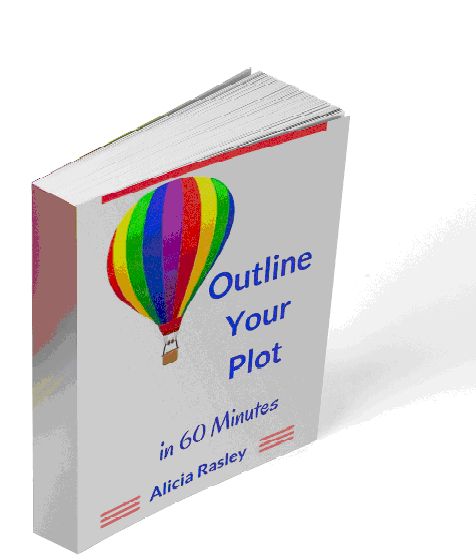 This booklet first tells you what conflict is not (combat), and then helps you discover and develop the conflict inherent in your plot and characters. Conflict has many purposes– let me help you find the one that will bring the most power to your story. Alpha, Beta, Delta, Theta… it’s not a nursery rhyme, it’s an exploration of the new heroic archetypes. Is your hero a leader? An outlaw? An artist? A charmer? Use these exercises to explore his personality and his conflicts… and if you have a romance, to match him up with the heroine who’s right for him.